Most of perfumanity has experienced a variation of the same nightmare. You find a fragrance that unlocks something in you, a scent that speaks a language that is personal and saturated with feeling. A sample is included in a package from a friend or in the sizable and random order that somehow made it from an online shopping cart to your mailbox. Sniffing the vial or a patch of skin carelessly lavished with the liquid, you are pierced to the heart... and you laugh, cry or do whatever you do when overcome with emotion. (My reaction is apparently to blush furiously.) The fragrance has been discontinued, of course. Inevitably, too, it had a niche distribution and has never been reliably available through internet discounters or it was the most weirdly confidential scent in an otherwise mainstream line. Frantic, late-night searches of the web reveal that you have more soul mates than you ever could have guessed and each of them has already purchased a 1.7 or 3.3 oz bottle of your juice, leaving the online retailers out of stock. The auction sites are merely offering the layering products, flacons or candles. Perhaps you put in the winning bid on bubble soak, even though you don't own a tub. Over several months, you cobble together a collection of precious millilitres: a mini from seller in Singapore, rare and hideously expensive decants, and the original sample, preserved in museum-quality condition. Haunting the blogs and dead forum threads, you search for smell alike suggestions or rumors about well-stocked stores run by strangely unwitting owners. The Gobin Daudé scents, Comptoir Sud Pacifique Thé, Hermès Doblis... The horror! The horror! My nightmare has been about Slatkin Persian Lime (Blossom) & Mimosa. Released in 2003, it was discontinued along with the other three Slatkin & Co. fragrances in 2008. I have always liked the cheerful, honest scent of mimosa, but this perfume opens it up into something solar: part enveloping tropical flower, part sensual, fleshy fruit. Milky instead of talcy and both bright and caressingly soft, it has the savory-sweetness of Thai food and a dry down like lacquered wood. There is no other fragrance I know that holds mystery and friendly warmth in such successful balance. It was composed by Christophe Laudamiel, who may be my favorite living perfumer. (Patricia de Nicolaï and Christine Nagel would also be in the running.) The other Laudamiel scents I've been wooed by are S-perfume S-ex, Theo Fennell Scent and two of Humiecki & Graef's 2008 releases, Geste and Eau Radieuse. All this to say that I was very excited when I read the description and note list for a 2009 Humiecki & Graef/Laudamiel creation, Clemency. I remember deliberately ignoring the ungainly name and trying for only a few moments to enjoy the nut-job Humiecki & Graef ad copy: some Oedipal gushing about mothers, like the silly focus on the frosty but irresistible older woman in the marketing for Geste. Mostly, my brain was buzzing with the potential similarities to the Slatkin scent: the presence of milky notes, mimosa-like cassie and linden (or lime blossom), as well as descriptors like "tender", "generous" and "glowing". When my sample arrived from Germany, the smell of Clemency drove me back to the wacky press releases. Huh. Somehow I had forgotten to take descriptions like "regal" and "proud, serious, stern and inscrutable" into account as I imagined that this "exaltation of the mother figure" would smell like Persian Lime & Mimosa. The advertising image (see above) featured a ruthlessly groomed model playing the maternal character. I was puzzling over the fact that the model reminded me vaguely of Lucille Bluth when my four-year-old daughter came into the room and asked: "Whose evil stepmother is that?" Whose, indeed? While smelling sort of like my lost love — the mimosa facet, the milk, the fruit, yes, they're all there — Clemency manages to feel completely different. What I like about Laudamiel's creations is that they always have an unexpected texture to them. Clemency has a hard, cool, almost squeaky surface to its central leather note that reminds me more of the sheen of the aforementioned S-ex than of my Slatkin fragrance. There is something angular and sleek about the whole thing that is perfectly lovely — but it doesn't make you smile. I was to be surprised again by the Humiecki & Graef release that followed Clemency in 2010, Bosque (notes of grapefruit, saffron, primrose, narcissus, dry buffalo grass and vetiver.) This time, working with frequent collaborator Christoph Hornetz, Laudamiel revived some of the spirit of Persian Lime & Mimosa, without evoking the actual smell. Bosque is a very wearable, winning fragrance, with a bright grapefruit opening and a fizzy-chalky heart that recalls the Lik-A-Stix in a package of Fun Dip. It is not as equatorial and lush as the Slatkin scent, but my guess is that it will likely become the best seller of the Humiecki & Graef line, because it is hard not to like. My final surprise, though, came when I tested the two Humiecki & Graef scents on opposite wrists: despite liking Bosque's "temperament" and preferring it on initial testing, I found myself increasingly drawn to Clemency. There is something very intriguing about the latter's reserve. Neither scent has stolen my heart away from Persian Lime & Mimosa (or even from S-ex or Eau Radieuse), but the samples were well worth tracking down. 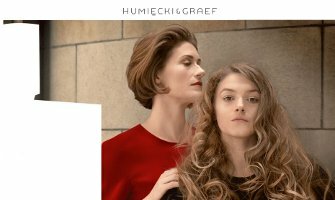 Humiecki & Graef Clemency and Bosque are available in 100 ml Eau de Toilette Concentrée; for buying information see the listing for Humiecki & Graef under Perfume Houses. This is exactly why I stay away from vintage perfumes, I don’t want to fall in love with something I can’t buy. Terrible luck having something from only 2003 be discontinued! Good luck on the hunt. I won’t knowingly sniff something discontinue either. I’m not at the point where i can shell out hundreds on ebay for a discontinued find. perhaps if i were to get a windfall inheritance one day…. Just pay with paypal and get a refund if the item is faulty or goes missing. I just got a bottle of CSP The for under $70Aus. and if it isn’t good, no skin off my nose. Have you actually gone through the process to get the paypal refund? I’ve always been curious about whether or not it works. Erin – you had me at Lucille Bluth, lol. I just adore her insane character. In my mind, she is the inevitable extension of Patsy from AbFab, that is if Pasty lived in CA, was married, and ended up having children. On my worst work days, I try and channel my inner Lucille Bluth – gorgeous suits, a cold martini, and an acid tongue that lashes my work related enemies. I believe I still have a 1 ml sample vial of Persian Lime & Mimosa. It was not heavenly on me. It is just a meager 1 ml, dabbed once or twice. Let me know if you want it, and it is all yours. Arrested Development was another thing I discovered too late… although my hubby argues that the show lasted just long enough to be perfect. It never jumped the shark. I’m concerned that the rumored movie is going to be a disappointment. That is a very generous offer! If you sent me the sample, I’d have to swap you stuff from my collection – and I’d try to send you scents in no danger of discontinuation! I sometimes wonder if my obsession would dwindle if I finally procurred a FB of the Slatkin… isn’t that the way in usually works?? Yes, a lot of the time it does. I think that’s because the pressure is off, and then there is always another fragrance to be secured. It’s standard issue collector madness. contact me at anneroosie at hotmail dot com about the PL&M. I am like 98% sure I still have it in the bottom of my box, but I need to check! Ah, the box! I have a series of baggies that I’ve sworn several times I’m going to organize. I also am a Slatkin junkie but for Absinthe which is my favorite dark fig fragrance ever. I have two bottles scored off of eBay but I still worry I will somehow run out. I get what you are saying about Clemency but I found it to be weird for weird’s sake. Which is a criticism I would have leveled at most of the Humiecki & Graef line, until Bosque. Weird has to go out and find it’s soulmate who will covet it and search eBay forever for it. Bosque is inventive and accessible and in my opinion that is a much more difficult trick. I once got a sample of the Absinthe when I was purchasing a PL & M body lotion. I was nervous about trying it, because the Slatkins were already rare by then and I was worried I’d love it… but then the sample vial slid out of the paper casing on my way home and I lost it. Of course, then I was really annoyed instead of relieved. There’s no pleasing me. Note to all Slatkin fans: I found a slew of the shower gels and body lotions at a TJ Maxx some a little over a year ago, so they’re still around…try Maxx, and Ross and Marshall’s and such for your true loves! I wish we had TJ Maxx in Canada. I’ll try next time I’m in Buffalo. Thanks for the tip! yes, yes and yes. I’m a budding perfumista….still happily aquiring my ‘base’ collection and have realized that something that i fell in love with last year, something that i thought i could simply pour over my head for the rest of my living days has been discontinued. i was late to this news. my usual venues are down to minis or soap. i have seriously considered how many minis i could reasonably buy and store without my husband calling me crazy and saying “Stop”. i realize that it’s not ‘crazy’ in our genre and i plan to collect every mini, soap, lotion, candle i may come across. i have been making pleas for smell alikes….but won’t list my favorite here in fear that what’s left and easily accessible may dissapear. i feel guilty for wanting to hoard it all to myself. but i’m sure you all will understand. 1. husbands should never really know the depth of our insanity for the fragrances we love and our desire to sniff! 2. Tell us what it is you love! Someone here may have a bottle they don’t want anymore. 1. I agree. I was pretty good at getting my purchases opened and put away and the box and stuffing taken out to the trash before he got home from work. He’s pretty used to me shoving something under his nose and saying “Smell this” so that no longer raises suspicion. lol. 2.Um….well……i’ll think about it, lol! Anyone with a bottle they don’t want would be smarter to sell on ebay probably. the price seems to go up every time I check it. sigh…..
Ah, the boxes. I put them all in bags and hid then in the attic, lol!! I wish my hubby would ask for his own collection, but he has chronic congestion and sinus issues (as well as asthma) so he can’t smell himself most of the time. My husband doesn’t get it at all. The only two fragrances he has ever responded to were Dzongkha and Fleurissimo (both of which I love, so it’s good that he liked them too). We have a very large dog, and I think his scent tends to reign supreme in the house! It’s interesting, because I don’t think of those scents as being similar in smell or style. That IS interesting. They are VERY different! My parents have a border collie/sheltie cross with the world’s thickest coat; if she gets wet, she doesn’t dry for about three days. So I’m nostalgic for wet dog smell, too. Fantastic review, Erin! Discontinuation is the fear always nipping at a perfumista’s heels. Along with reformulation, and “it turned and now it smells like paint thinner/WD-40/King Tut’s tomb”. This is why I have 2 bags full of back up bottles stashed in the guest room closet, and I’m still kicking myself for not getting more Le Dix from the discounters while they still carried it. The picture of the models really struck me as weird. The just have this look about them of apathetic world-wearyness and boredom. But they have great hair! It’s certainly an odd picture. The mother looks like she’s smelling the daughter’s head. What is the daughter wearing? Beyonce Heat or some such, probably. Yes, they do … but the photo definitely gives off a weird vibe! Have you seen the Bosque ad images? There was quite a bit of talk about the very hairy fellow in the male version of that ad on Perfume Posse recently. Personally, I thought this one was weirder. I’m not sure how the yummy burglar conveys “the scent of fury”, but I agree that one connected with me more! Eau Radieuse has been my favorite scent since I discovered it last summer at a little perfume shop across from Il Senato in Rome. I live in fear that it will be discontinued or that the company will go out of business, yet it is so expensive that I can’t imagine being able to affort stocking up. I will have to try Bosque and Clemency, but do I need another love affair? Another love affair! Oh, but of course! You can never have too many of those. So, YES, you NEED another love affair. OK FOandW_oh_my, so how’s this: can I AFFORD another love affair?? Alrighty, you got me there. But “Love will find a way” springs to mind. So does, “if there’s a will, there’s a way”. AND – if all else fails, sometimes people on these pages will split bottles. I’m not sure how it works, but it seems it might be a bit cheaper, no? Though all jokes and “perfect world” aside, I don’t know the prices of the scents you like, so I can’t judge. So glad to see somebody who really loves Eau Radiuese, it’s such a deliciously fun scent and I think it’s still my favorite of the line. I’ve been worried since the beginning about H & G going under, too: the scents are so expensive and the North American distribution is limited. Hope they are doing well in Europe! I’m with you, Erin! So hard to get here, but almost everywhere I go, people ask me what I’m wearing when I have Eau Radieuse on. If they had more extensive distribution, they could definitely have a cross over hit on their hands! Yes, they are and I am a fan of Eau R. as well. Glad there’s more of us? Have you tried there Multiple Rouge? I’d like to hear the opinions? It’s a reallly weird one, described as “devil-may-care madness” and futuristic wild strawberry”. I don’t get strawberry (and they are my fav fruits, but I get MADNESS… anyone? I definitely got MADNESS! I hated that one. Enjoyed all the others, though. I seem to have been born under a bad discon star, because, as one of my friends says, me liking a scent is its kiss of death. When new scents come out and I like them, they tend to have very short retail lives indeed. I know just what you mean. There’s a sales assistant at a store I frequent who always says to me: “Don’t tell me you like it. If you do, it won’t sell!” Hope you’ve managed to get some of those axed faves at a discount. mmm, know what you mean! I find the same thing too. I can completely sympathise with the devastation of discontinuation. I adore Chaos and practically cried when I discovered it was discontinued – I must have been under a rock or something when it was announced but I missed it and eeked out my original bottle for AGES…despairing of the ever-increasing price of ebay bottles. Then, the clouds parted, the sun shone, birds sang and Donna Karan RE-RELEASED IT! Well, I nearly cried again then gathered myself and headed out to John Lewis to stock up! It smelled exactly the same – the only downside is the new bottle which, whilst substantial and attractive in a minimalist way, is not a patch on the original. But hey, they could package it in a tin can and I would buy it. Now, if Guerlain ever discontinues Shalimar I really will cry. I have recently gotten samples of things I am scared to try, because they are so hard to find, like the CSP The. But sometimes having a quest is a fun thing, with that great satisfaction that comes when you finally find it. ebay has it for under $70. That darn site – I am tempted sometimes. Besides frustration with purchases gone wrong, part of my ban on the ‘Bay was just moral indignation at them kicking off the decanters. I have also vowed never to buy a Bond No. 9, because of how schnotty and mean they’ve been about “protecting brand integrity” online – but I sometimes feel like buying a travel Chinatown. It is true, the quest is sometimes its own reward. I am particularly worried about loving CSP Thé. What if I ordered a bottle and got the reformulated Ecume de The? It’s never-wracking falling in love with something that’s changed but is still on the market: YSL Rive Gauche, Patou Sublime, Hermes Bel-Ami. I just got a bottle of “real” Sublime. I was chewing my knuckles the whole time, waiting, hoping. Uh, that was supposed to say nerve-wracking, by the way! Ah, Erin, you’ve gotten right into the secret hearts of a lot of perfumistas. Nothing makes my heart beat faster than the words ‘discontinued’ or ‘vintage’. Or even the ‘not sold in stores’ of Guerlain’s 180 Ans. Very interesting review of these two scents. I’ve never tried any of the H & G fragrances, and don’t know that I want to be chasing something this expensive and with such limited distribution! Yes, “limited edition”, “not sold in stores”… it all drives me mad. I also fret over the “enter your secret code to purchase a refill bottle” thing. If I don’t want a fancy-schmancy bottle, I should have the option of paying for the juice I want for a reasonable price and suffering the ugly refill. I’m easy to do splits with – I’m quite happy to decant into a pharmacy bottle and to send the fancy real bottle on its way! Me too! I haven’t done enough splits, but I’m quite happy to take any ol’ container for the juice when I do. Hi Erin, great review! you got me intrigued about the Humiecki & Graef line. I usually stay away from stuff that looks harder to get than the Hermessences or the Chanel Exclusifs (and remember I live in Argentina and with luck I make it to the states for a week once a year). It is terrible when a frag you love dies. For me it smelled like something sophisticated, but not sophisticated like Guerlain Heritage, which smells like OLD money… this one smells like NEW money, but not Nouveau Riche. It smells what I imagined at the time a meeting room in Goldman Sachs would smell.. Polished cedar wood, roses on a vase, a basket with tropical fruits on the side… some styrax for that “new computer” smell, and a little musk from some leather, perhaps some chair. What an evocative description… I am tortured now! It sounds completely lovely. Oh Erin, I can totally relate to this. I discovered Annam a couple months ago and am smitten. I’ve only dabbed from my mini twice, but often pick it up just to smell it and dream of owning an fb or even a decant I could spray. One was going for an obscene amount on Ebay (around $500 for a 1.7 ounce) but even then, I wondered if I were the sort to have an extra $500 to throw around, would I cave in and buy it? Damn you, Annam! oh I can totally understand you. however, I was more lucky, since I did not find a single bottle of Shiseido Kiku anywhere….and never will I guess. but now I tend to think it is not the scent that drives us crazy, but the labels such as rare/discontionued/never ever again. it is like as if we wanted to buy immortality. Haven’t heard of Kiku, and I guess I know why! Annam was luckily one I didn’t fall in love with, although I can completely understand people mourning and coveting it. I bought a mini back in the first years of my obsession and it was so cute! It looked just like a hearing aid somehow – the shape and size – so that I has this mad desire to pop it in my ear. The juice (and I think the little bottle) are long gone now, and I don’t have a spare $500, but it was a lovely scent.